Pine is to the forefront with heathery scented notes following on. In 1777 there were eight licensed distilleries and almost 400 illegal stills in Edinburgh and the Port of Leith. As gin rose to become the fashionable spirit, Edinburgh distillers, like their London counterparts, produced gin from locally sourced ingredients. Then juniper berries, spices and citrus fruits arrived daily in Leith from all over the world. These exotic ‘botanicals’ were redistilled or ‘rectified’ together with the finest Scottish grain spirit in the time honoured fashion. Edinburgh Gin is a reminder of the days when Edinburgh was a centre of distilling expertise. It is batch distilled in “Jenny”, a much treasured Scottish copper pot still using traditional gin botanicals. Then The Spencerfield Spirit Company add extra Scottish Juniper as well as heather and milk thistle. 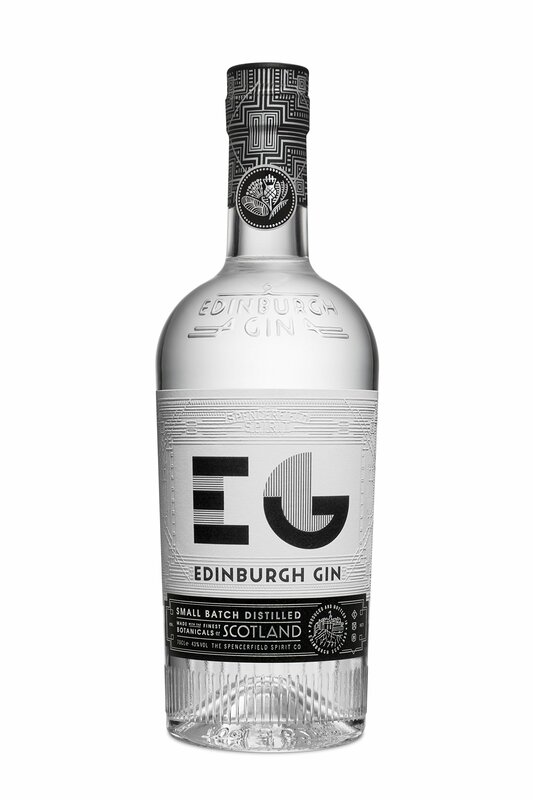 Edinburgh Gin’s clean citrus notes and aromatic Juniper make it the perfect base for a Gin and Tonic or Martini, not to mention many of the classic gin cocktails. The 1920’s are known as gin’s truly Golden era and in keeping with that theme, the bottle packaging has an art deco feel that reflects this wonderful period of cocktail parties and drinking sophistication. SIP Awards Gold Medal Winner 2010.